After spending Saturday night in an absolute cauldron of a bar that decided to allow its air-conditioning to break on one of the warmest and most packed nights of the year, I needed all of Sunday to recover before posting about England’s opening group match in this explosive Brazilian World Cup. I am glad I did, because after allowing the small disappointment of not getting a result to sink in, I find I am not alone in feeling almost relatively happy and fairly optimistic despite the defeat. Not to the point of delusion as too many failures have nullified that sort of thinking. Instead, it is so pleasing to know that we played one of the most inexperienced and youngest teams in England’s history against one of the top teams in the world, and it nearly worked. I was one of those jumping on the bandwagon after the last tournament, demanding that we play with freedom, youth and with an attacking style, and I have to credit Hodgson for doing exactly what the public have asked. He has given these young lions every opportunity to thrive in the absence of misplaced optimism. Therefore, on the performance alone, we as England fans can all pat ourselves on the back for creating a media storm and being completely correct in thinking this approach would make for a better England team, because it did. This has strangely taken any blame for lack of results off of the players and manager’s shoulders, and if we go out playing like we did Saturday night, then so be it, it was what we all wanted anyway. Everyone would trade in playing risky but exciting football on the world stage for a painfully dull and depressing exit at the hands of penalties, and I bet that there were a few neutral fans around the world that nudged each other, and said, “you know what, England look pretty good”. That is what makes me proud to be English and to support the national team. England played the best football I had seen since Hodgson took over, and it is easy to see how much the squad has developed as a team in the past couple of years. They have mostly all earned their place, and again, Hodgson must be given credit for balancing World Cup qualification with experimentation with younger players. 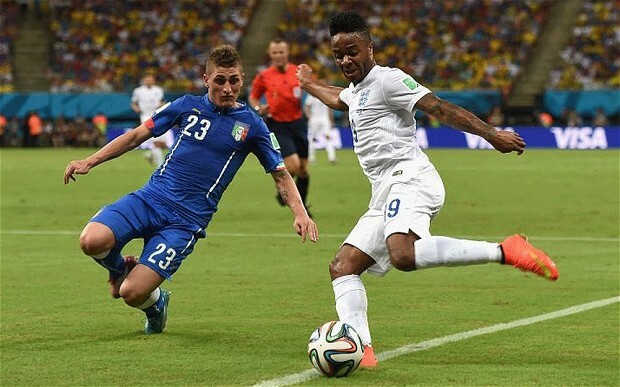 Sterling was driving Italy up the wall on Saturday night and his pass to Rooney proves that his ability transcends mere pace. Barkley looked good again coming off the bench, and this England team seems full of bright young talent. 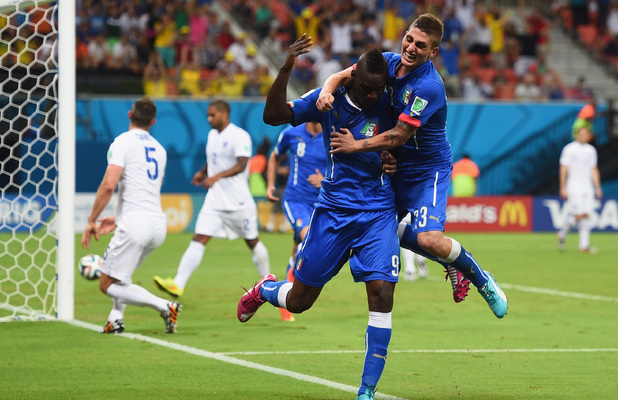 England had a high passing accuracy against a good Italy side, who had 93% to England’s 91%. Not only this, but England’s possession far outweighed that of two years ago, which shows massive improvement considering Italy have improved as well. 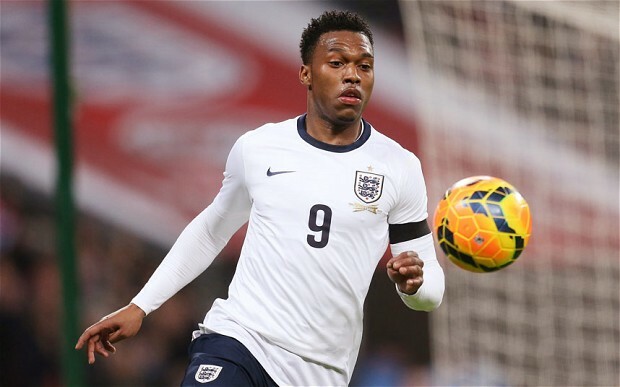 Qualification will be difficult, but playing like that against a poor defence in Uruguay and Costa Rica will surely bring some goals for Sturridge and co.
We can add strength where needed over the next two years and try gain, but at least we will have a plan at long last, and one that we have the time to compete given the overall youth of the players. Who would be the captain after the inevitable retirement of Gerrard, willingly of otherwise. Cahill? Hart? Maybe Sturridge? Who knows? The future, for once, looks bright. Defence still looks shaky, but we were always going to take risks short term by going to the tournament without more reliable players like Ashley Cole, but that is just testament to the determination to start again with a young side. Glen Johnson is still questionable, but he put in better performance on Saturday. A lot of pundits and commentators, when asked for their starting eleven before the match, often started with, “well, the back five picks itself”. After Saturday night, I am not sure whether this is a good thing after one of two defensive errors. But, at least a consistent back line will mean the young team will gel together more quickly over time. If anything, Jagielka is really growing into the position, and I think Cahill and he can form a good partnership for England over the years, we just need some better cover in case of injuries. I really liked the combination of Gerrard’s passing range and Henderson’s boundless energy and forward runs and passes. But although Gerrard’s long ball game does stretch the opponents, it also stretches our players, and these moments in the game where a breather is needed without relinquishing possession, requires the England players to practice piggy in the middle with the opposition for ten minutes. Whether we have the “technical” players for this is yet to be seen, but it would be good to at least have a plan B for these situations as the Italians looked above all very comfortable in the closing stages. In a close game, grinding out a win with sustained possession and pressure does not come naturally to us, and this obsession with finding players that “like to turn and run at defenders” is almost overloading our football philosophy, and the need to also move the ball around without purpose is sometimes necessary. Without doubt the biggest problem that was highlighted throughout the game was the left-hand side, more specifically a lack of cover for Baines. Unfortunately, this lack of cover was very much pointing at an overpaid white elephant in the room, which leads me onto. . . This isn’t a hate campaign, it is just all the fans can see there are players in better form. Maybe a case could be given for him behind Sturridge, but the fates are against Rooney, and the combination of Sterling’s dynamic performance in-behind Sturridge, and Rooney’s inability to be effective on the wing has left both Hodgson and the man himself with no excuses. I don’t know whether we as fans are missing the bigger tactical picture, or whether this is a sub plot involving Nike, but either way I think it’s time for a change . He does track back well and help midfield, and he did set up Sturridge for the goal with an an excellent cross, but by playing Sterling in the number 10 role behind Sturridge, Hodgson is admitting there are better players than Rooney in both positions, and by putting him on the wing, he is also admitting he won’t do anything about it. I would rather see Milner keeping tabs on the left backs, as he is also a good crosser of the ball, something England was clearly lacking against Italy. Although this does not encourage youth across the park, it makes sense to learn from mistakes as we hopefully progress through the tournament. Rooney can always come on to replace a younger player, and let’s not forget an in-form Ox is now ready for his World Cup moment. Did you think england played well? Comment below! Not many would disagree that the 2013 Confederations Cup exceeded all expectations and more. Since it started being a competition held every four years, it has grown on the footballing public in a big way. It feels that after this year’s contest, I doubt there will be many teams who will decline the invitation next time around. Admittedly, having Brazil as the host and Italy getting a place due to Spain’s dominance, we were spoilt in terms of quality. All the teams were used to winning, and even the tiny footballing nation of Tahiti stole the public’s heart with their determination and hard work. Not only has this cup become a great warm-up for the hosts to test their World Cup credentials, but fans can also use the tournament as a litmus test to see what state their teams are in. For the neutral, it was simply great television. But it was the Brazilian public that ensured we witnessed a true competition. Despite the turmoil just around the corner of the stadium, the crowd encouraged fast, flowing football by keeping the tempo and applauding great skill. Their jeering of the world champions was as much out of frustration at their style, as it was out of slight envy. This passion for football culminated in that unforgettable moment during the Brazilian anthem when the music stopped, and a war-cry rang out as the team and crowd sang together, the country becoming one in a heartbeat. Who could doubt that the Spanish were shaken by this show of solidarity? It would, and did, humble the greatest of them all. Perhaps then, the 2013 Confederations Cup will be remembered for the turning of the tides in football. If Spain were made to look human against the Italians, they were made to look bad in the final against the relentless and dynamic Brazilians. Watching Alan Hansen wrongly predict Brazil’s form brought joy to everybody’s heart, topped only by the justice done by seeing the fans’ favourites completely outplay the Spanish. Neymar smashed in another great goal, and despite Fred’s consistency in finding the net, it is hard to imagine a Brazilian team lifting the World Cup without the boy wonder leading the attack. But we must be very careful to assume this is definitely a turning point. Not only must we remember that this was still the Confederations Cup and not the World Cup, but must also see the white elephant in the room; Spain were poor. We can therefore only really see a possible changing of the torch, when Spain are beaten whilst playing at their best. Because despite the result, the truth is when Spain are passing quickly and accurately, even a resurgent Brazil might be chasing their tails. But I guess that is definitely the hot debate right now. Either way, we will only really know who is on top of the world when the deserving team lifts the cup in 2014. It would be borderline criminal not to say a few words of congratulations to Andy Murray after his emphatic win against the world number one Novak Djokovic to lift the 2013 Wimbledon trophy. It was so great a moment that the few hours of sun-bathing that was missed was soon forgotten in the euphoric feeling of being part of a nation celebrating in a moment of history. The straight sets victory completely abolished all British pessimism so quickly that everybody was left bewildered and shocked. Even King Leonidas was left lost for words in the crowd. Only, Ivan Lendl, who has without doubt instilled a belief and steel into the Scot, sat with a knowing smile on his face. To be honest, if I had turned a nearly-man into a Wimbledon champion I would be smiling too. Aside from football, Tennis is the one sport which I have watched all my life and actually care about. Having sat through a countless number of footballing disappointments and having watched potential British tennis heroes come and go (bow your head in shame Mr Henman), it was a brand new feeling for me to see my tennis hero win the home trophy. I know there are some that do not like Murray’s dry humor and on court temper. But I can still remember Murray’s Wimbledon debut as a skinny and unconditioned hopeful. Since then, I have watched him grow and mature into the man who in my eyes will be number one this time next year, which has been a great experience and reminds me why I love the sport and respect the physical nature of the modern game. Whether Murray will go on to win many more titles, or whether he will be hindered by the likely resurgence of Djokovic or perhaps a rising star, it is clear that his ability now has been fine-tuned through necessity. With Nadal, Federer and now Djokovic with such a stranglehold on the game, Murray had to find a way to become unplayable when at his best. I think he is close to it, and the set-long blips of a couple of years ago now last just a few games in which time Murray sharpens his focus and regains his composure. Credit must of course be given to Lendl, but Murray still holds the racket and all plaudits must surely go to the man that has thrown this sporting monkey off the back of the nation. I am just looking forward to watching the next 12 months of tennis from Andy Murray, and to avoid any “the shackles are off” clichés, it feels that indeed the best is yet to come from the 26 year old Wimbledon champion. Only a handful of matches have been played in this year’s Confederations cup, but we have already been spoilt rotten. We have been treated to some excellent displays of skill from Brazil’s rising star, some inspiring team performances and more importantly a glimpse at the sort of atmosphere we can all expect at the World Cup next year. I am writing this after staying up late watching Japan and Italy in an absolute thriller that ended 4-3 to the Azzurri. Although slightly weary from the lack of sleep, I cannot stop thinking about how excellent Japan were during most of the match. Not only did they show excellent team spirit and the ability to keep possession, but their refreshing honesty regarding fouls and diving was just a part of their overall commendable attitude. Yes they did lose, but they can take solace in the performance and if they improve again as they did between group games, then they can go to next year’s tournament with a real chance to get to the knock-out stages. Or perhaps even further. Not only has this tournament dispelled fears that the teams involved would treat it as a run of glorified friendlies, but it has also been the first opportunity to showcase goal line technology, albeit it has been unnecessary so far. But this just highlights the unobtrusiveness of its introduction in the first place and begs the question: “What was all the fuss about?”. There has of course been one more shining light during the 2013 Confederations cup so far, and that is Brazil’s most recent rising star, Neymar Jr. This tournament was the chance for the world to see what Barcelona paid such large amounts of money for, and he has not disappointed. A great goal and some sublime skill to set up the second against Mexico, describes just part of his performance. This also dispels those claims that he was overrated after an ineffective performance against England. If you factor in the classy performance from Spain in their opening game, it could really be effectively argued how utterly uninformative the good recent results against the two aforementioned teams were for England. This leads on nicely to my last point regarding this tournament. Don’t worry, I am not going to digress into an argument about England. The bloggesphere has already done a good enough job for me. It is also a minefield of debate. Ranging from tactics and formations to grass roots and coaching. All I will say is that the performances of Japan and company should be a lesson to the England team in how the simple things such as a consistent team spirit, hard work and ambition can be much more telling in a result than a formation change. I only say this because when there are those five or ten minute spells when England players remember how to play (and some of them can, I am positive of that), I see glimpses of what is possible. 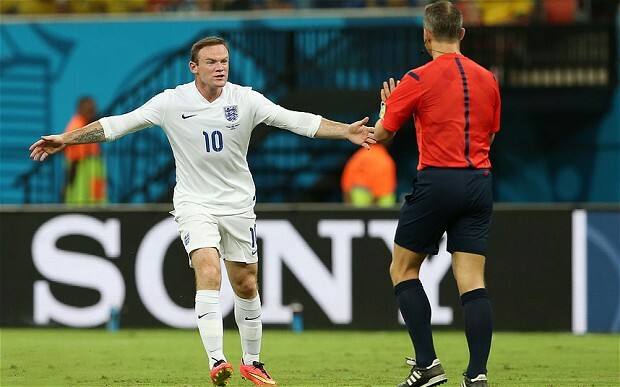 Who knows, perhaps in four years we will all be talking about a good Confederations Cup performance from England. Although I seriously doubt it.